The Injury Prevention Program at Children’s Hospital is a nationally recognized program. 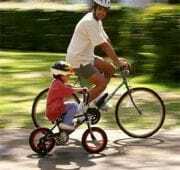 Prevention is the key to breaking the cycle of unintentional injury. Through collaboration with community partners, evidenced based strategies and innovative technologies, the Prevention team is reaching more families with injury prevention education than ever before. 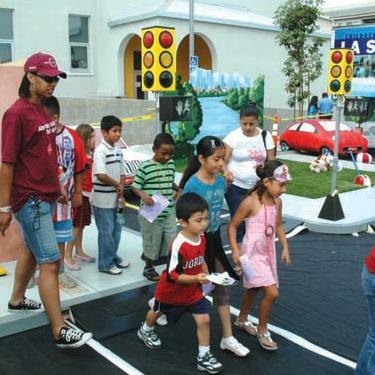 Nationally recognized programs include L.A. Street Smarts, an interactive neighborhood scenario environment that helps children learn pedestrian safety; car seat education classes; home safety education and sports safety/concussion awareness campaigns. Educational materials and education are provided to Children's Hospital Los Angeles trauma patients, tailored to their specific mechanism of injury in an effort to prevent further similar injuries. While constant adult supervision is the best way to keep your child safe at home, sometimes it’s just not enough. Modeled after the “Home Safe Home” program developed by Children's Hospital Los Angeles doctors Susan Wu, MD, and Mona Patel, MD, the “Home Safety Audit” program was created to reduce the number of unintentional injuries of children at home. Home Safety Audits are offered to families whose children were recently injured at home, and as a result, received care at Children’s Hospital Los Angeles. As a part of the program, Injury Prevention staff members conduct a detailed inspection of the child’s home environment, including a room-by-room analysis of injury risks, coupled with recommendations on prevention strategies and tools. Families are provided with a variety of home safety devices, educational materials and other recommendations on how to improve their child’s safety at home such as disaster preparedness. CHLA certified Child Passenger Safety Technicians (CPSTs) can assist with car seat inspections and installations free of charge. Have your child’s car seat inspected and learn proper installation from one of our certified technicians. Contact us to schedule an appointment. When a car seat is no longer safe to use, be sure to recycle it. 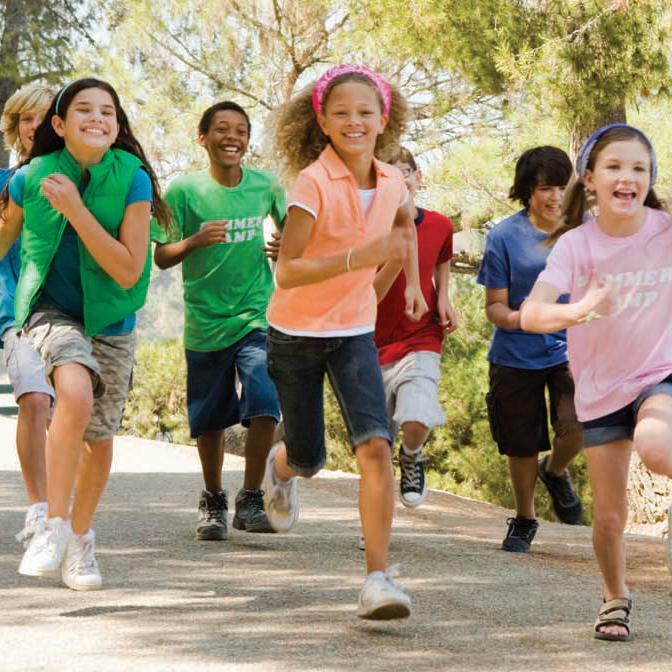 The Injury Prevention Program at Children’s Hospital Los Angeles can help! 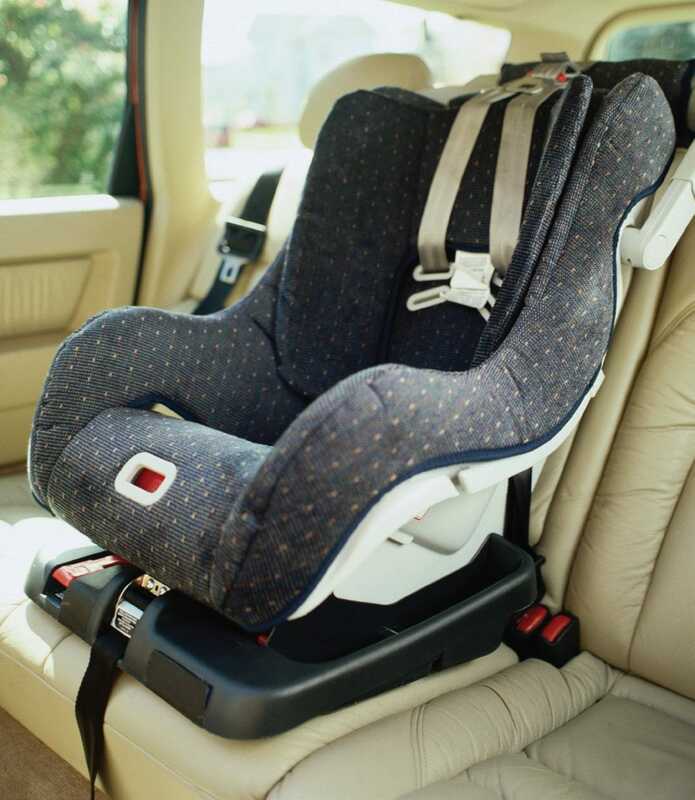 Car seats expire six years from their manufacture date (which can be found printed on the car seat). Seats that are expired or have been involved in a car accident, no matter how moderate or severe the crash, should be discarded. Car seats can be dropped off at the main entrance of Children’s Hospital Los Angeles between 10 a.m. and 3 p.m. on the first Friday of each month. Recycling prevents circulating damaged or expired car seats into community. At least 90 percent of car seat material can be recycled. Let Children’s Hospital Los Angeles help you keep kids safe and protect the environment! The Injury Prevention Program of Children’s Hospital Los Angeles, provides home safety products at wholesale cost to its hospital visitors, employees and the outside community to reduce the number of unintentional injuries to children at home. There are currently 4 customized home safety vending machines throughout the hospital. The locations include the Emergency Department, In the Park Lobby near the Bank of America Machine, the Ground Floor, and at the entrance to the Outpatient Tower. Machines are also out in the community at three Westfield Malls ( Arcadia, Sherman Oaks, and Valencia). The Safety Corner located in the Family Pantry also provides these products at the same cost. The Safety Corner is located in the Anderson Pavilion next to the HBO Café. The machines are stocked with products that make every room of an individual’s home safer. Products such as oven locks, outlet covers, cabinet locks and refrigerator locks prevent injuries in the kitchen. Bath treads, bath thermometers target possible injuries in the bathroom. There are also safety straps and corner cushions that work in a multiple of locations to prevent tip overs and injuries from falls. The machines also spotlight important disaster preparedness products. These items are accessible, affordable, and make great gifts for baby showers and the Holiday season. Download our flyer, or learn more about our safety corner. L.A. Street Smarts is a hands-on interactive neighborhood that helps children learn, as they walk through the neighborhood, the best way to stay safe while playing in or near the street. Learn more. The iPrevent Volunteer Program provides a complete continuum of trauma care for children, including acute injury care, disaster preparedness and injury prevention. Learn more or Click here to download an application. Brief and informative safety videos for earthquake, home, passenger, pedestrian, sports and water safety. Learn more. 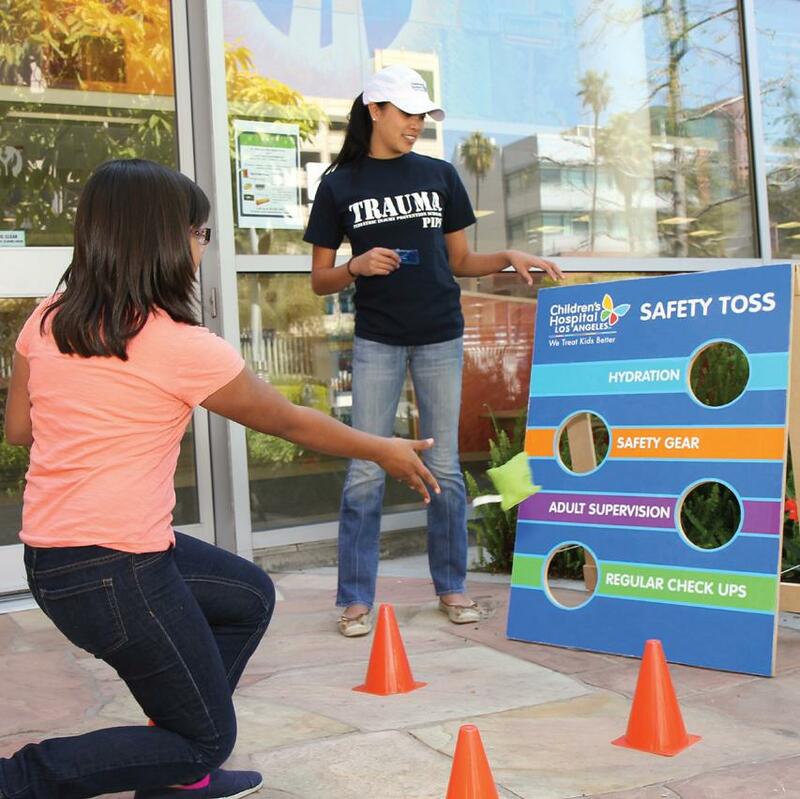 In partnership with Kohl’s Cares, the Kohl’s Safety and Injury Prevention Program at Children's Hospital Los Angeles provides safety education and equipment for children and families in local communities. Learn more. Safe Kids Los Angeles West is a local coalition of the international Safe Kids organization, a broad and grass roots collection of numerous local coalitions. Learn more. Injury Free Coalition for Kids is a Level 1 Trauma Center-based national injury prevention program with 42 coalitions in 40 states within the United States. Learn more. The Injury Prevention Alliance of Los Angeles County is a group of local partners that collaborate to create a more injury free community. Learn more.